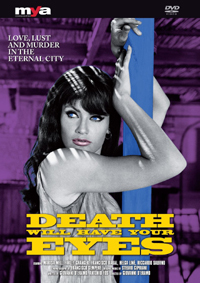 Louisa (Marisa Mell) is a young and attractive woman who wants to make a living for herself in Rome, but soon falls prey to some very shady characters that force her into prostitution. While struggling to keep herself afloat, she meets a fascinating doctor (Farley Granger) who is also a would-be poet. However, Louisa doesn’t really love him, and falls for another man. When she gets involved in a murder, blackmail and violence ensue – until the shocking final revelation.